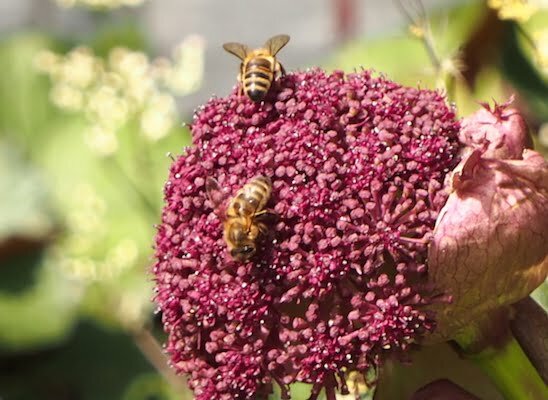 USA – despite a surging national interest in honey bee health, new statistics from the Bee Informed Partnership and the Apiary Inspectors of America show that there was an increase in honey bee colony losses from April 2014 to April 2015, with nationally 42.1% of colonies lost. This is more than double what is considered an ‘acceptable loss’ (<20%). Some states, such as Maine, Wisconsin, Illinois, Iowa, Pennsylvania and Oklahoma reported losses of over 60%. Losses were particularly high among amateur and small-scale bee keepers, where the varroa mite was found to be the main factor in colony loss. Backyard bee keepers are less likely to monitor or properly control varroa mite. If a hive’s population of bees dies due to varroa mite infestation, then robber bees from other hives which come to the empty hive can also pick up the mite. Infected wandering bees that join other hives are also vectors. All small-scale bee keepers in the USA should check their hives several times during the warmer months for the presence of the very destructive varroa mite, which also spreads diseases like Deformed Wing Virus, bacterial American foulbrood (AFB) and chalkbrood fungus. A simple test is the ‘rolled sugar’ test – you can find a simple explantation of the test at the University of Minnesota Powder Sugar Roll. Can bees be saved by mushrooms?